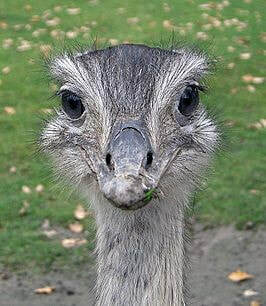 The rhea is social and tolerant, not only in relation to family and friends, but also to others. He is quiet and a go-getter. If he is injured, he simply continues. He follows the gang as long as he can. The rhea runs and jumps quickly, but moves cautiously.